Principal photography on the second standalone Star Wars movie at Disney has wrapped and director Ron Howard took to social media to announce the title of the hitherto untitled prequel to A New Hope. Fans reacted to the functional title with hilarious memes. It's no Han Solo at Stars' End or countless pulp Marvel comic strip titles. 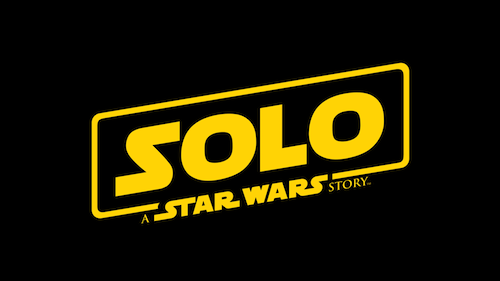 Ultimately, Solo: A Star Wars Story is in keeping with last December's Rogue One. And "Solo" sounds much better when said in the voice of Jabba the Hutt. Just saying. The troubled Star Wars production witnessed the departure of directors Phil Lord and Chris Miller weeks from completing the spin-off. Ron Howard has a storied history with Lucasfilm and there's no reason to think Solo: A Star Wars Story will be a disaster. However, as a fan of the franchise, I would have welcomed a December, not May, release next year. What do you think of the title? Let me know in the comments below.